The Republican Party looks like it will have yet another contender entering the primary. 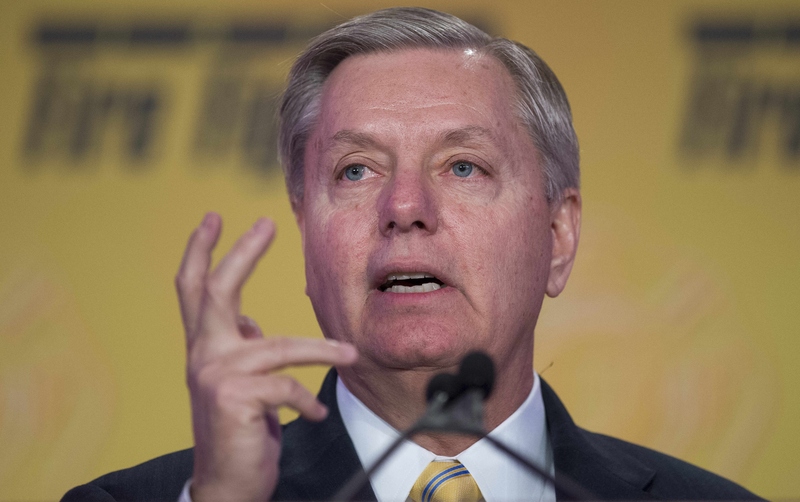 On Fox News Sunday, South Carolina Sen. Lindsey Graham said that there is a “91 percent chance” that he will be running for president in 2016. He will be making his final decision by May — less than two weeks away. If I can raise the money, I’ll do it. I think I got a good message, I think I’ve been more right than wrong on foreign policy. I’ve criticized the president for leading from behind, being weak and indecisive. I’ve been a problem solver in Washington, and I think I’ve got something to offer the party in Washington. Graham has staked his platform as a defense hawk and frequent critic of President Obama, especially in regards to the ongoing nuclear deal with Iran and the president’s handling of the Islamic State. But while Republicans might agree with him on these points, The Washington Post reports the party is wary of Graham’s stance on immigration reform and his support for a debt reduction plan that would cut entitlement spending. Admittedly, Graham doesn’t seem to rank all that high up in a long line of Republicans trying to snag the nomination. At this point in the game, Ted Cruz, Rand Paul, and Marco Rubio have announced. Former Hewlett Packard CEO Carly Fiorina recently said that she is 90 percent sure she will enter the race. So, Graham’s 91 percent is one-up of that, in a sense. If I didn’t think I could win South Carolina, I wouldn’t be talking to you. But at this point in the game, the polls aren’t showing Graham ahead in South Carolina. In fact, Graham ranks fourth in the polls in his home state, falling behind Scott Walker, Jeb Bush, and Ted Cruz. South Carolina is considered the third major state to capture on the road to a nomination. Moreover, The Washington Post reports that 55 percent of South Carolina voters said that they would not vote for Graham for president. So while the odds are looking pretty good for Graham to hop aboard the Republican primary, his odds of winning the primary and, even more so, the general election aren’t look nearly as good.